News - Get your hand on our exclusive GHD and Moroccan Oil offers whilst they last! With unbeatable GHD and Moroccan Oil offers available, there hasn’t been a better time to treat yourself to our stylish GHD stylers or luxurious Moroccan Oil products. 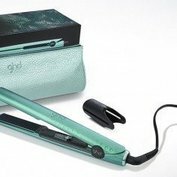 Guarantee your passport to paradise with the GHD atlantic jade styler. At a market leading price of just £108.99 .That’s over £20.00 off the RRP of £130.00 and you also receive an extra heat-resistant carry case worth £19.95, if ordered with us. 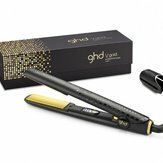 Or perhaps the GHD v gold classic styler, with its glimmering gold accents and plates and an enhanced design, is more your style. Priced at only £118.95, you also receive an extra free GHD gift bag worth £19.95. All our GHD products come with free next working day delivery and if you order before 2pm we will dispatch the very same day. If you’re really looking to spoil yourself, then our range of sensational Moroccan Oil products, is the perfect treat. 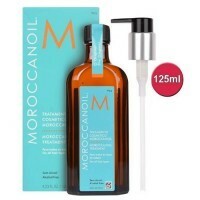 Why not try the luxurious Moroccan Oil Treatment Oil which is available as a larger 125ml bottle, with an extra 25ml of extra value worth £13.85, plus a free Moroccan Oil Tote bag perfect for summer.